Check-in at Malta International Airport for your flight with transit to Quebec City, Canada. Upon arrival, you will be transferred to the port to check in and board Royal Caribbean Adventure of the Seas. With sensational entertainment, thrilling activities and delicious dining to enjoy, the Adventure of the Seas is really the base for a perfect holiday. 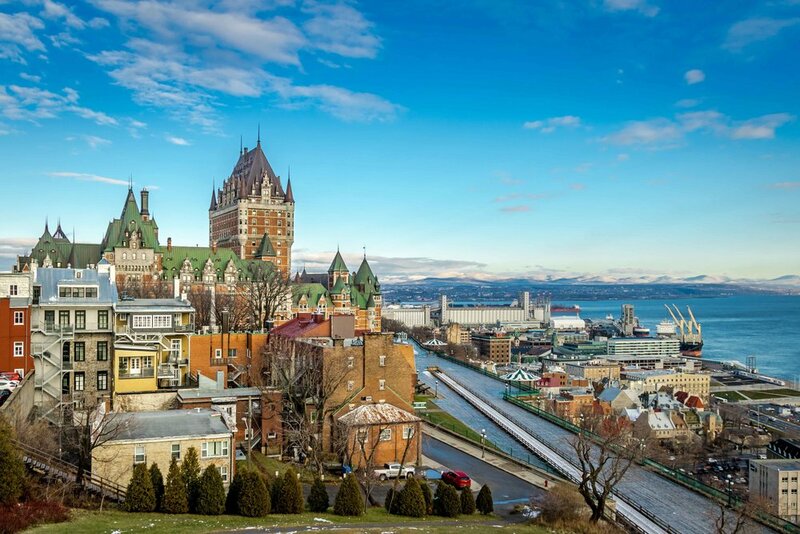 Built atop rocky cliffs at the confluence of the Saint Charles and Saint Lawrence rivers, Quebec City is a vibrant city whose walled old town enchants with colonial heritage, preserved architecture and European charm. Walk within the fortification of Quebec, declared a historical monument, this commanding wall forms an impressive 3-mile defensive belt around the old city. Discover the French heritage and culture featured within its walls, with art galleries, restaurants, cobblestone alleyways, and “Rue du tresor” artist alley. It is an ideal place to ‘step back in time’ and take a leisurely stroll. There are a lot of delicious food and drink waiting for you on-board Adventure of the Seas. So, whether you fancy coffee and cake at one of the casual cafés, or a delectable three-course meal, there’s something tasty waiting for you. Onboard, you can look forward to some truly electrifying entertainment, from spectacular West End-style shows to blockbuster movies at the poolside screen. Sydney is the gateway to Cape Breton Island and its highlands, forests, coastal trails and the large inland sea at its center. The mostly rural Cape Breton has a rich cultural mix of Gaelic, Acadian and indigenous Mi’kmaq peoples. Visit the Bell Museum, located on 25 acres of landscaped grounds in the village of Baddeck, where Alexander Graham Bell, who invented the telephone at age 29, also made important contributions to medicine, engineering, agriculture, aeronautics, marine science, genetics, and teaching the deaf. Afterward, stop in the village to explore various gift shops or relax in a local café. Halifax was long defined by naval operations. The 18th-century Citadel still stands guard, but today overlooks a thriving city whose restored waterfront features historic architecture, shops, museums, bars, restaurants and more. One of the city’s most attractive areas is the Historic Properties Development, located along the waterfront. The charming early 19th century wood and stone buildings here have all been fully restored. And the cobblestone streets and long boardwalks are now lined with a wonderful array of boutiques, cafés, and pubs. Portland’s heart is the lively Old Port of narrow cobblestone streets and restored brick warehouses filled with shops, restaurants, cafes and bars. The district has a working waterfront too, where fishermen haul in the day’s catch. The Old Port Exchange is really the heart of downtown Portland. It’s a collection of 19th-century brick buildings originally constructed to support the vast export and fishing industries. A wealthy summer playground during the Gilded Age, Mount Desert Island welcomes visitors to its rugged beauty and serene parkland. The village of Bar Harbor offers shops, galleries, restaurants and historic architecture. Explore beautiful Acadia National Park. See Cadillac Mountain and the natural rock formations of Thunder Hole. Journey over bridges to arrive at Jordan Pond House, where you can take in the beautiful scenery of Penobscot Mountain and the Bubble Mountains while enjoying popovers and tea. Climb to the top of the world on the colourful Rock Wall, chill out in the whirlpool, have a spin round the running track, or take a dip in your choice of fantastic pools—you can rest assured that there is so much you would like to do on-board Adventure of the Seas! Cruising in Style, while relaxing at sea. Experience the many culinary spots available on board, pamper yourself at the spa or just get lost in an intriguing story from one of the books you can borrow from the library. Port Canaveral is your gateway to the Space Coast and the attractions of Central Florida. Visit the Kennedy Space Center, swim at Cocoa Beach or enjoy a fun-filled day at one of Orlando’s world famous theme parks. See, hear and touch NASA’s glorious past, inspiring present and exciting future. Stroll through the Rocket Garden, home of Apollo and Gemini-era rockets, board life-size replicas of the space shuttle Explorer and see spacecraft that have actually orbited the Earth. In the evening, you will be instructed to leave your luggage outside your stateroom by midnight, as the ship’s crew will be getting down your luggage to the terminal early next morning. Enjoy your last breakfast on board, before you disembark and be transferred to the airport for your return flight (with transit) to Malta. With so many beautiful places visited and a wonderful experience of an amazing ship, it is sure that you will bring with you home lovely memories that you will cherish forever. 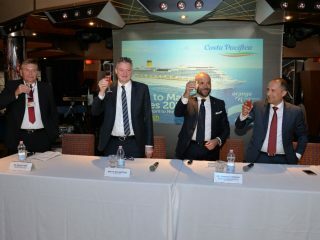 Gratuities to be paid prior to cruise at €169 per person.